How to Overcome Heroin Abuse and Its Poor Symptoms ? 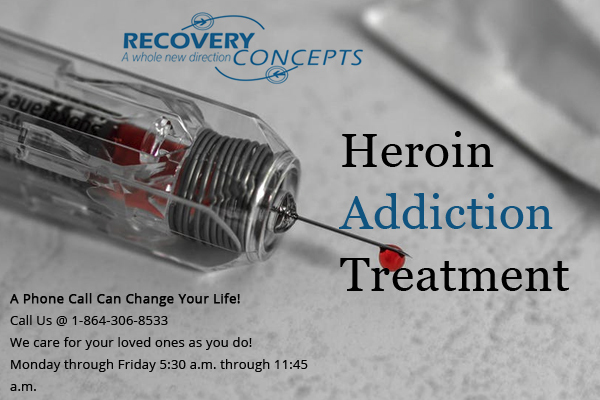 Recovery concepts is an outpatient opiate and heroin treatment center with facilities in Spartanburg, Greenville, Pickens, Anderson or Easley. It focuses on offering treatment to people who are addicted to opiates like; heroin, oxycodone, and hydrocodone among others. Heroin addiction can be tough but its symptoms are tougher to deal with. Most heroin addicts start with the curiosity to try just once and they end up getting hooked to the point where it gets impossible to change without professional heroin addiction treatment. Its addiction may end up in death due to overdose if addicts are not checked into heroin drug treatment centers on time. As aforementioned, heroin addiction and withdrawal symptoms can be hard to deal with. Therefore, patients may require medication assisted treatment to enable them get through the withdrawal symptoms phase smoothly. All recovery concepts facilities in Spartanburg, Greenville, Pickens, Anderson or Easley work with counsellors and physicians who use methadone for heroin addiction treatment. These are outpatient heroin treatment centers that assist opiate addicts willing to change as they continue with their daily schedules. Heroin offers a short lived euphoria but a high physical dependence that is difficult to handle. Therefore, if addicts stop using the drug suddenly the withdrawal symptoms become extreme to the extent that patients are unable to get through a day without getting a fix. Some of the withdrawal symptoms include; vomiting, diarrhoea, insomnia, muscle pain and restlessness. There are situation where patients get addicted to pain killers that are prescribed after surgery. 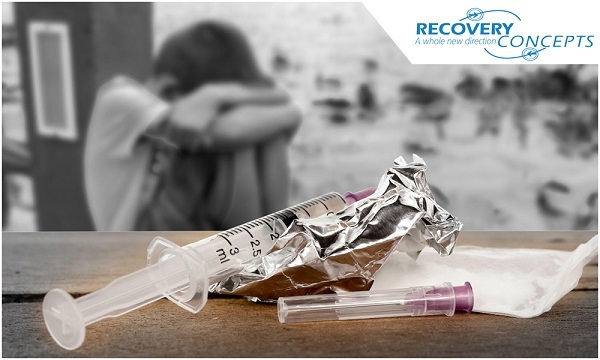 Recovery concepts is committed to assisting people with drug dependency problems whether they are caused by prescription or non-prescription drugs. All our centers in Spartanburg, Greenville, Pickens, Anderson or Easley are always open and all you need to do is ask for assistance. Drugs are harmful and destructive to the body. They weaken the body making it easy for infections to develop and veins to collapse especially where addicts inject the drugs. With lost or low immunity, addicts stare at death when abusing drugs in high doses especially with heroin. It may offer a good euphoria but you end up losing your life, respect and peace of mind. If you have become a product of sympathy, hatred and ridicule due to heroin, ask for assisted heroin drug treatment that will help you reclaim your life. We at the Recovery Concepts Greenville center are here to get you out of your habit. Call us and you are saved with the right recovery program tailor made exclusively for you.